As I said in last week’s post, glass is basically melted sand. 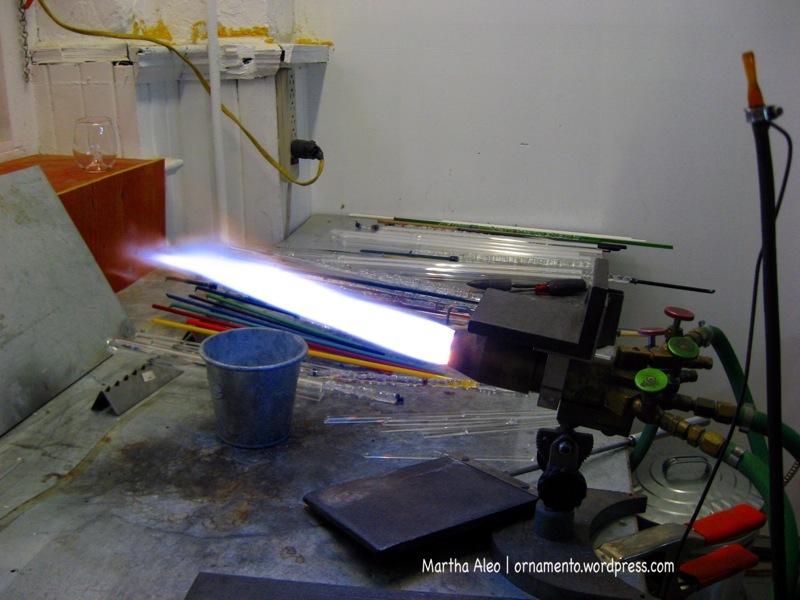 What I did not know when I wrote last week’s post was that the invention of the blow pipe made it easier to make glass and cheaper too. Now, even though I barely passed high school chemistry, I know from my own glass experience that mixing air with the fuel makes it burn hotter and cleaner and makes for more efficient glass melting. So the blow pipe was a big deal. 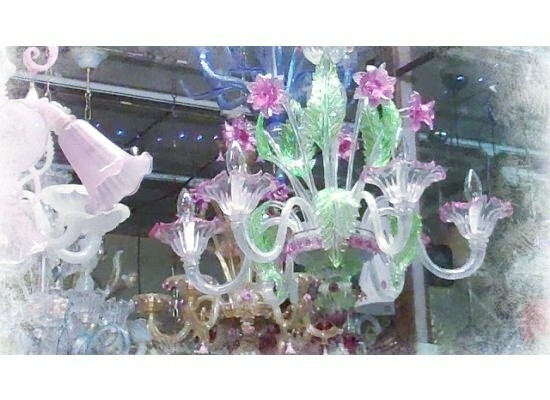 And though we can trace the first glass back to 3500 BCE, transparent glass did not appear until Venetian glass maker Angelo Barovier created it in the 15th Century. Even then, having clear glass windows was an expensive proposition and there were many more advancements in glass technology and manufacturing before we got to the glass we know today. But if you think you know a lot about, glass you probably don’t know the half of it. That’s why you should take a trip to the Corning Museum of Glass. The stated mission of the Corning Glass Museum is to “tell the world about glass.” Any comprehensive exploration of glass straddles the line between art and science. There’s probably no other artistic medium (aside from pottery) that does this so obviously and the scientific developments in glass have been dramatic. What I like most about the museum is that it pays attention to both sides of this fascinating substance. We started the day with a glass blowing demonstration. Then worked our way through the ancient glass and the history of glass exhibits. From there, we hopped over to the scientific glass portion where I learned about lenses, telescopes, safety glass and glass with thermal properties. The museum building itself is beautifully designed and a very relaxing space. I met glass artist and teacher Jim Loewer earlier this month on the POST tour of 1241 Carpenter Street. He studied fine art in college and graduated with a degrees in teaching and painting but always had a fascination with glass. 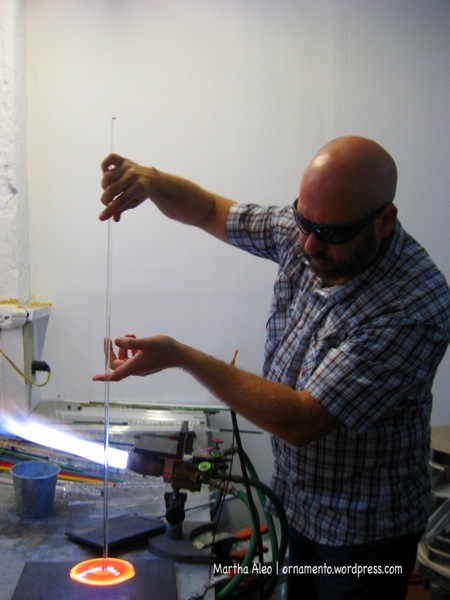 After spending a few years as a teacher, however, he decided to follow his passion and became a full-time glass artist. He taught himself by trial and error and now he is a a successful wholesaler of his work. If you take a look at his on-line gallery, it’s not hard to understand why. Even better, Jim has decided to go back to his roots as a teacher and give lessons in lampworking and glass blowing! 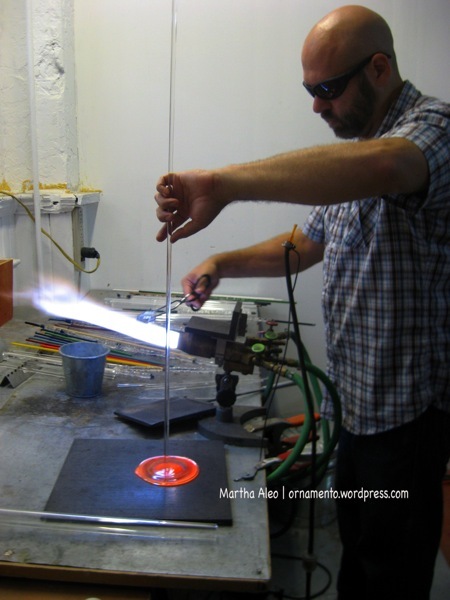 Here are some pictures of him demonstrating how to make a multi-colored glass sun catcher. He has heated the end of a glass punty, added colors and has blown it out. After some additional steps he breaks the disk off the glass punty and puts it the kiln. 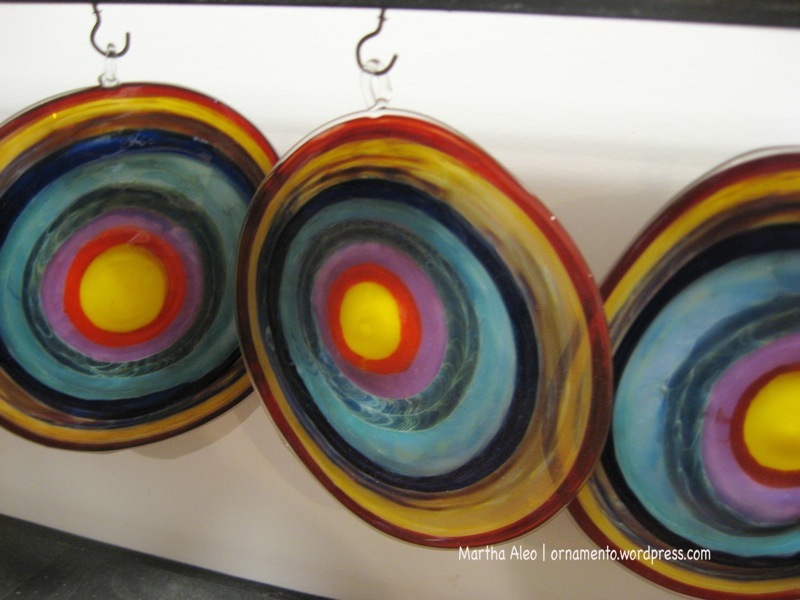 Jim offers regularly-scheduled pendant design workshops, and glass blowing lessons for one or two people. You can contact him here for more information. Click here to read some reviews from people who have taken his classes. And check out his Etsy and Facebook pages. 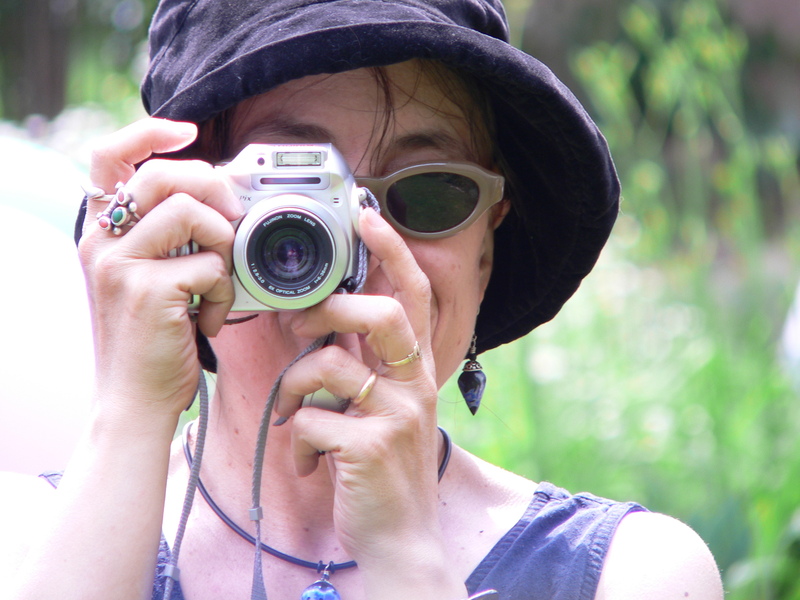 I am currently off traveling and taking interesting pictures I hope. 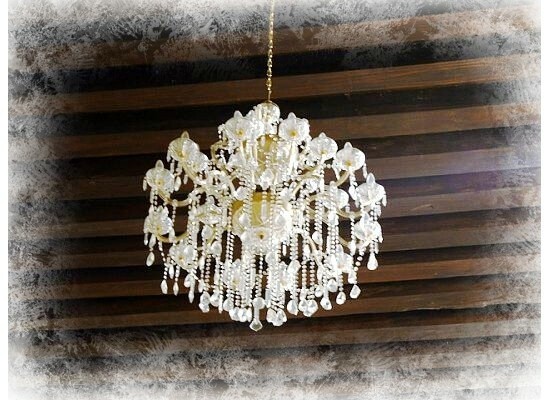 This week’s topic is chandeliers. 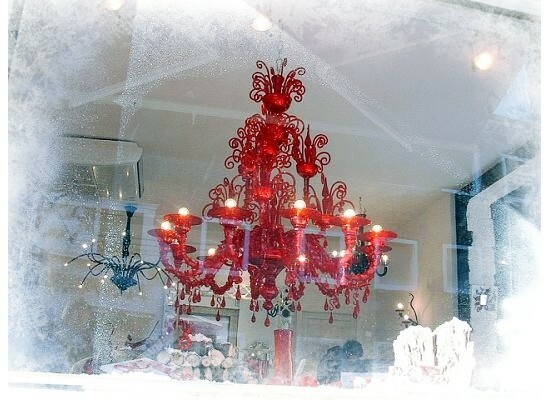 I don’t own a chandelier but they have always mesmerized me with their graceful Siva-like arms and multiple lights. 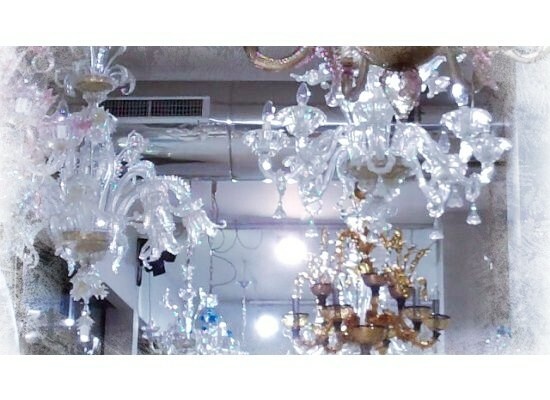 There were lots of ornate glass chandeliers in Venice-in the shops, in hotels and theaters and in public places. Not so many in Singapore but those I did see reminded me that it was a colony for hundreds of years. Why? A different context? 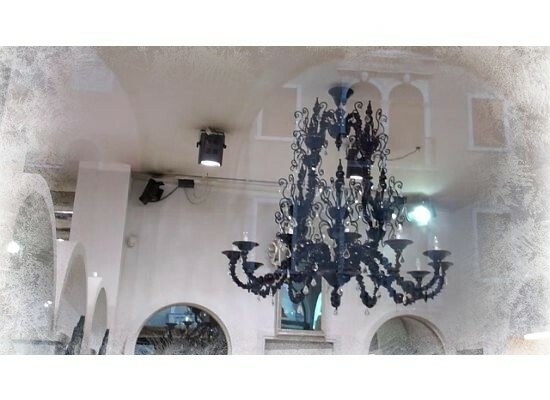 Isn’t it interesting how an ornate glass chandelier means one thing in Venice and another thing in Singapore? As you ponder this question, here are some pictures. I have always loved beads. Like fire, beads hold a primal fascination. They are part of every society and culture. There is evidence that humankind could have been making beads 100,000 years ago. The Venetian City State became a major trading hub and a center of glass manufacturing in the 1300’s and the earliest Venetian beads are thought to date from this time. 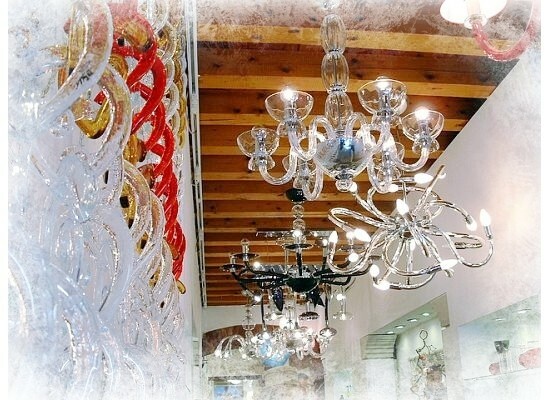 Most of the glass work was done then and now on the little island of Murano just a short boat ride from Venice. The Venetian government moved glass production to Murano in to protect the City of Venice fire which was a constant danger in medieval towns where most of the buildings were constructed of straw and wood. I was fortunate to be able to travel to Venice for the winter holiday this year. And because I love glass and beads, I had to go to Murano. 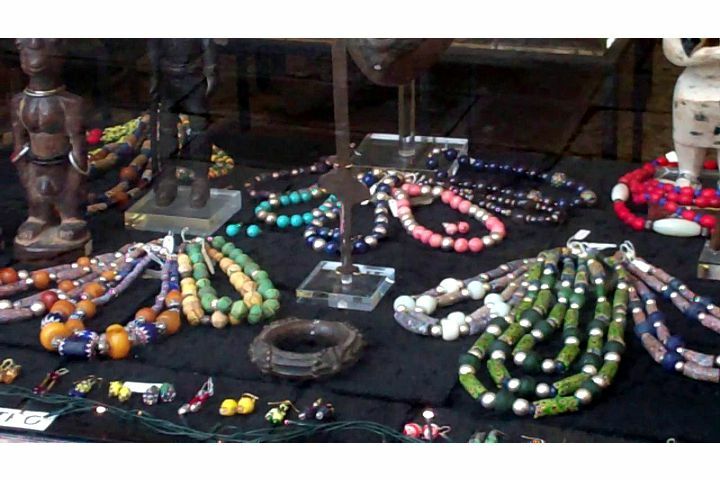 Murano is where the African Trading beads that I have collected since I was a teenager were made for colonial trade in Africa. The lovely, worn trading beads you are likely to find today did not start out looking that way. The beads really were used in trade and acquired a worn, matte finish from years of use much like coins. It was fascinating to look at old sample cards of millefiori beads at the Murano Glass Museum. The beads looked shiny and new only because they sat in showrooms for decades and were only used as samples. 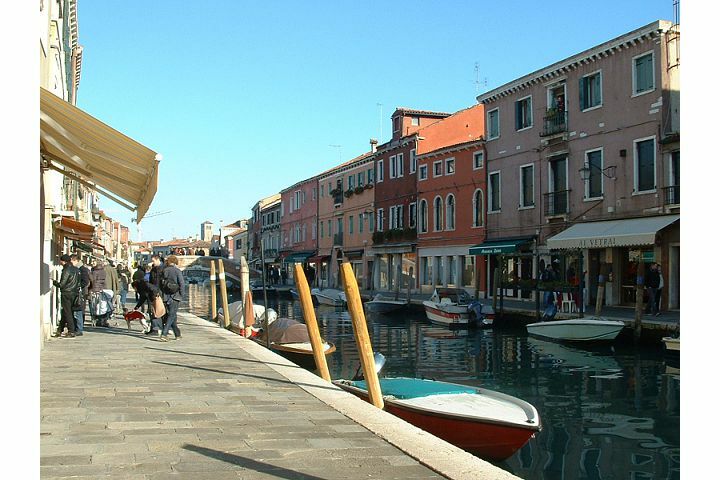 If you go to Venice, be sure to make a trip to the Murano Glass Museum. 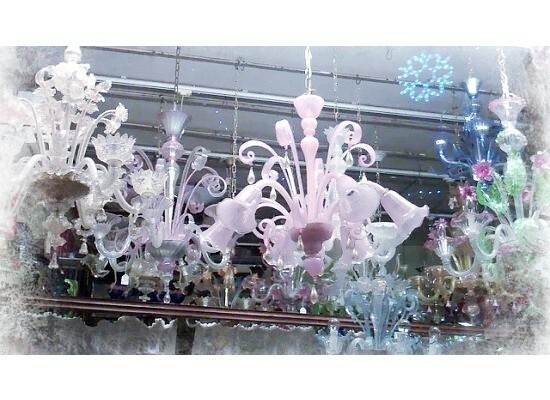 I had always heard that you could go into the glass factories and watch items being made. 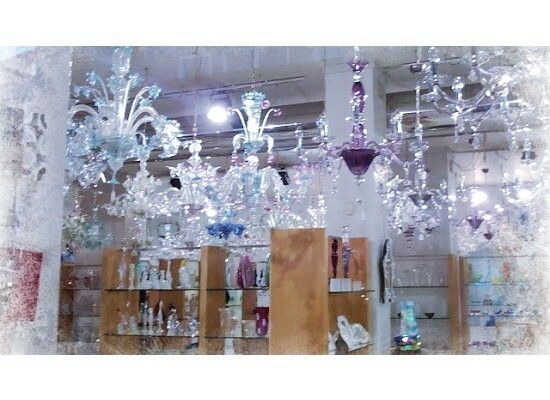 A friendly store proprietor from a glass making family (and glass manufacturing and bead making seems to be a family endeavor) set me straight about these tours. 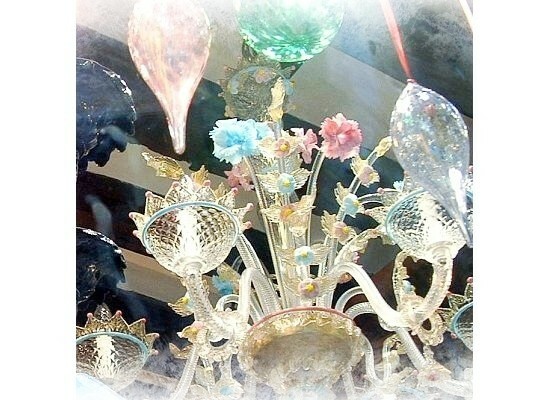 He said that the lamp workers and blowers did not like to have people around while they worked (I can understand why) and that the demonstrations you will see on Murano were cursory and rehearsed, and not illustrative of the way they really worked. Since I’ve seem a lot of real glass making of real glass and do lamp work myself, I decided to skip the demonstrations and drool at the glass instead. Here are some pictures. There’s even more! The Ercole Moretti website is a treasure trove of information and eye candy. They published a history of their company and Venetian glass and I am having a lot of fun reading it. The editors of Bead Star, Stringing, and Beadwork magazines sift through the entries and pick 20 finalists in nine categories. Then, from May 15 to May 30, 2009, people from around the world log on to BeadStar.com and pick the winners. Then, Fire Mountain Gems picks the Grand Prize winner from the first-place category winners. This lucky and talented person gets a trip for two to Santa Fe for Bead Expo 2010, $1,000 in cool beading stuff, and his or her design on the cover of Bead Star magazine. Last years’ winner was Valeri Ahroni. Hey! I know her! This year, it could be you. It’s easy to enter. The entry deadline is May 1, 2009 there’s no entry fee. If you enter before April 24th, you’ll be entered for an Early Bird Prize that will be drawn at random. Click here to enter. Wanna see last years finalists? Click here.